Development tools : Xecuter SX OS (development , software code only) - SHOP01MEDIA - console accessories and mods, retro, shop - One Stop Shop! Requires tools to be installed. Compatible with all current firmwares and hardware (2018-05-16). 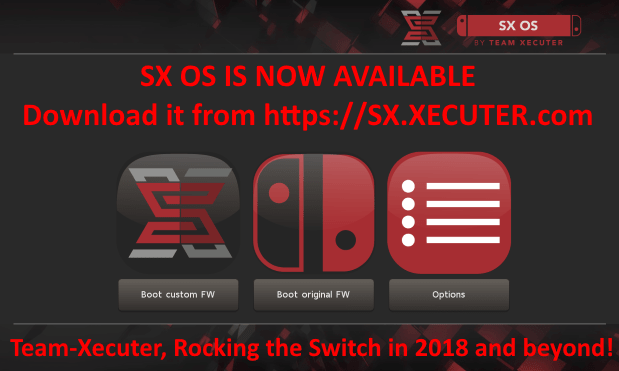 You will need this license in case you already have the Xecuter SX Pro and want to install the software on more than one Nintendo Switch™. Or if you have the SX Gear without license. Note that a new SX OS license is needed for each console. Due to recent extremly high usage of fraudent cards we must delay the SX OS delivery by 24h to verify legitimity of your purchase. This applies also to Russian Federation. This is only temporary, sorry for inconvenience.